Alive with the sights and sounds of forests and deep valleys, the Democratic Republic of Congo (DRC) is one for the adventurer. In search of adventure, visitors to this astounding destination will find themselves face to face with rare creatures, and soaring above African landscapes. Attractions include Lola ya Bonobo (Kinshasa), Mount Nyiragongo (Goma) and Zongo Falls (Zongo). Cheap flights to the Democratic Republic of Congo are now available for a limited period of time, so get ready to be astounded by this beautiful destination. The Democratic Republic of Congo’s capital city, Kinshasa, is home to N'Djili International Airport (FIH), located on a 40-minute drive from the city centre. 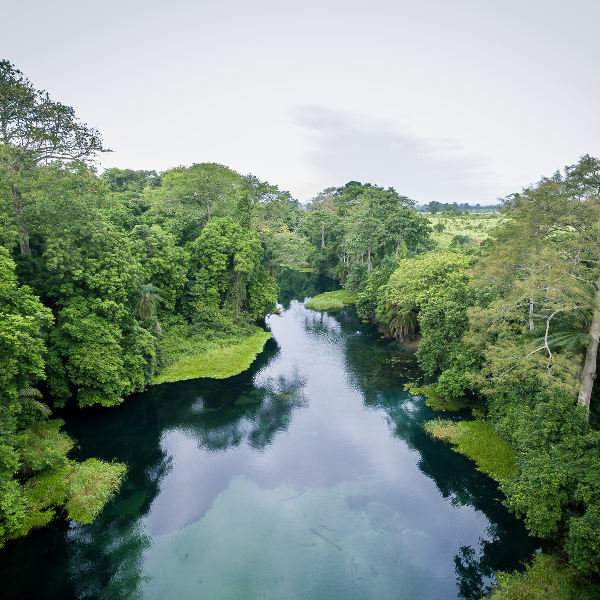 Cutting through the Congo Basin is the second largest river in the world, home to exotic beasts and tropical birds. Spot some hippos and elephants. The people of the DRC are deeply intuned to the rhythm and beats of the country, and have their own fusion of jazz and rumba, known as musique Zaïroise. 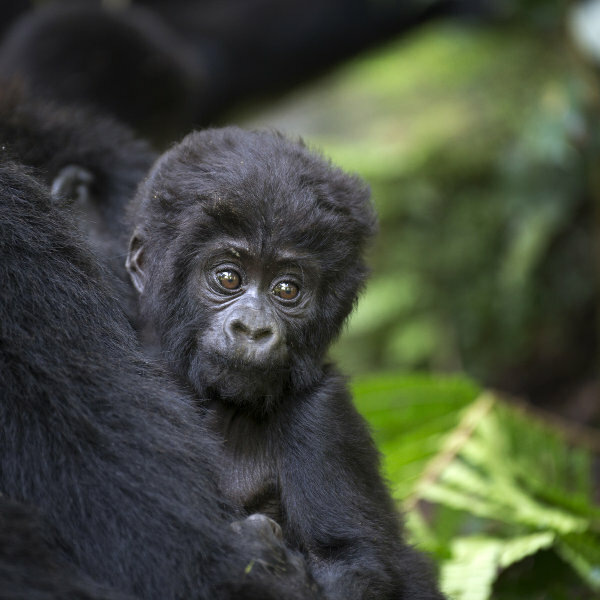 Trek deep into the rainforests and if you’re lucky, you’ll see giant gorillas chewing on leaves and relaxing with their families in Virunga National Park. The DRC has a wet and dry season, but they are split into various times of the year. Depending on what it is that you’re keen to do in the country, you might consider either of the seasons. The dry seasons falls between January and February, and then again from May through to September. As for the wet seasons, these fall between March and April, and then October through to December. For the best wildlife viewing, it would be ideal to visit during the dry seasons, but entrances to parks and gorilla trekking permits are cheaper during the wet seasons. A key attraction in the DRC are gorillas and seeing them in their natural habitat. A tour involves early mornings and trekking through the deep forests of Virunga National Park. Gorillas are nomadic beasts, and it can take guides anything from two hours to a full day to track them. You may spot them enjoying a meal, fooling around, nursing their young or a number of normal, human-like activities. It is truly something to behold. Please note that you will need to purchase a gorilla trekking permit ahead of time. For something wonderful to do on your trip, journey down the Congo River. It is the second largest river in the world, with a length of more than 1000kms! The river is slow, graceful and wide, but also home to some amazing wildlife such as hippos, forest elephants, chimpanzees and more. The people of the DRC speak more than 215 languages together, with French as the national go-to. 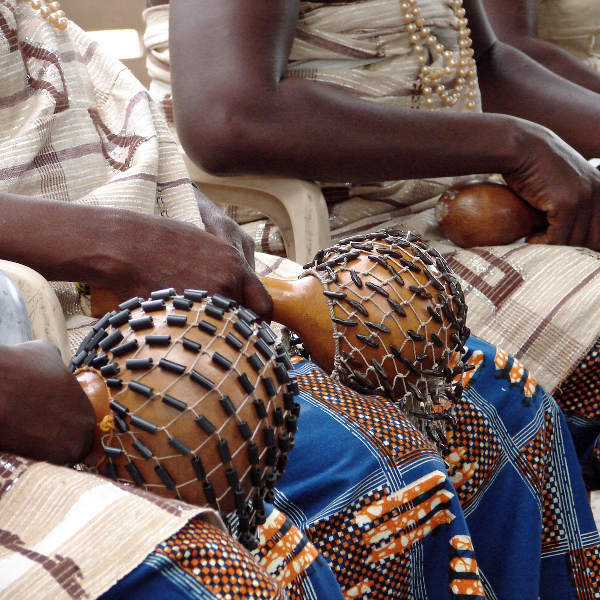 Music and dance is a big part of the culture in this African country, and a combination of music that arose from jazz and rumba is commonly known throughout the country as musique Zaïroise. The DRC is also the only place in the world that has a sanctuary dedicated to looking after orphaned bonobos (pygmy chimpanzees). Lola ya Bonobo is located in Kinshasa, and visitors are encouraged to donate to this worthy cause. Compare several airlines, and book your cheap flights to the Democratic Republic of Congo online at Travelstart! The Democratic Republic of Congo has undergone lots of turmoil, and there are certain areas in the country that are currently advised against visiting. However, the people of the country are warm and welcoming, and with a bit of caution and awareness of current affairs, your trip to the DRC is sure to be a wonderful one. Safe and tourist-friendly areas include capital city Kinshasa, Goma, Virunga National Park, Tchegera Island in Lake Kivu, and Bukavu in the east of the country. To enter the DRC, you will need to have proof of immunization against yellow fever and cholera. The following vaccines are strongly recommended as well: hepatitis A, polio, meningitis, tetanus and typhoid.